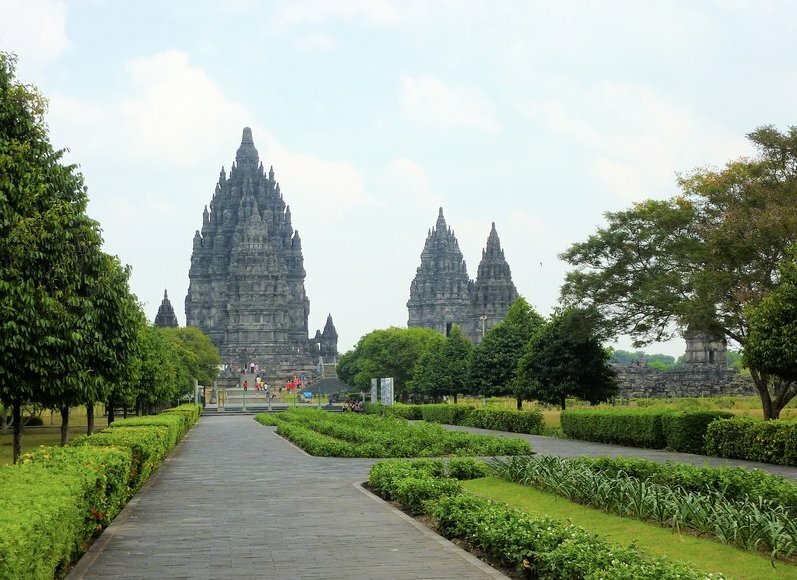 Prambanan dedicated to Trimurti (Brahma, Vishnu and Shiva) is the largest Hindu temple in Indonesia and one of the largest Hindu temple in southeast Asia. It is an example of contemporary Hindu architecture with a 47 meter high central building inside a large complex of individual temples. 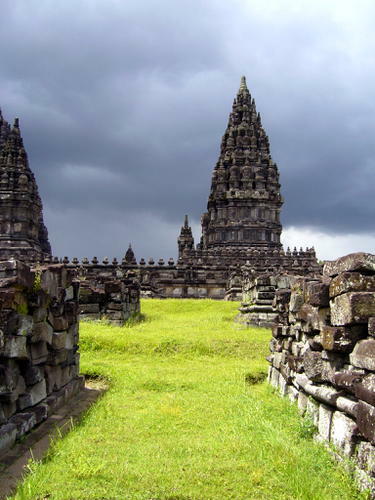 The temple was built in 9th century by Rakai Pikatan of Mataram Kingdom. 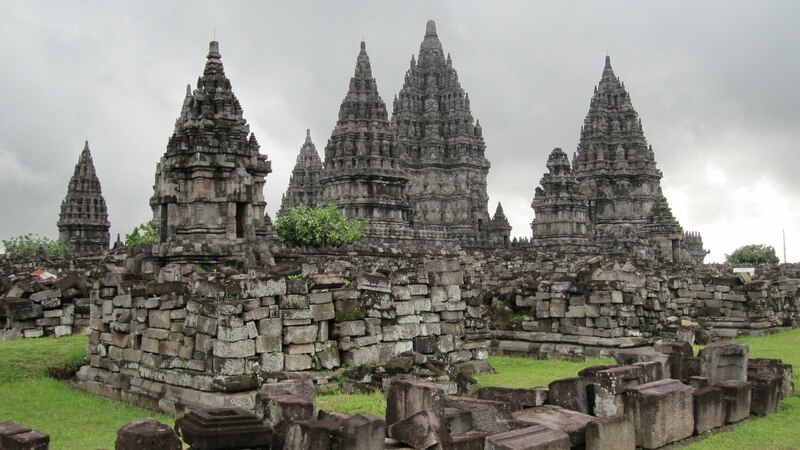 The temple complex was aggressively expanded by successive kings of the empire. 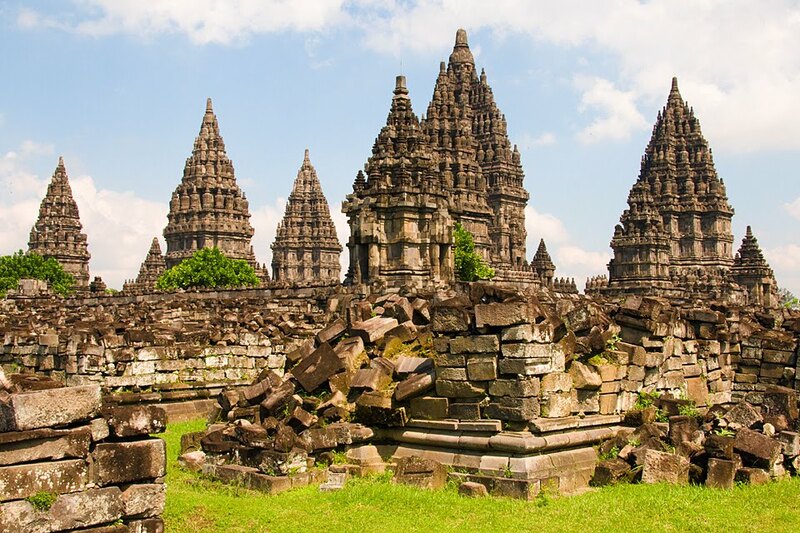 The present name, Prambanan is probably a corrupted Javanese pronunciation of "Para Brahman meaning "The Supreme Brahman" Originally, the compound consisted of 240 temples of which very few remain and are in a very bad state of health. The innermost compound of the complex houses the Shiva temple, which is the tallest and the largest structure of the complex. 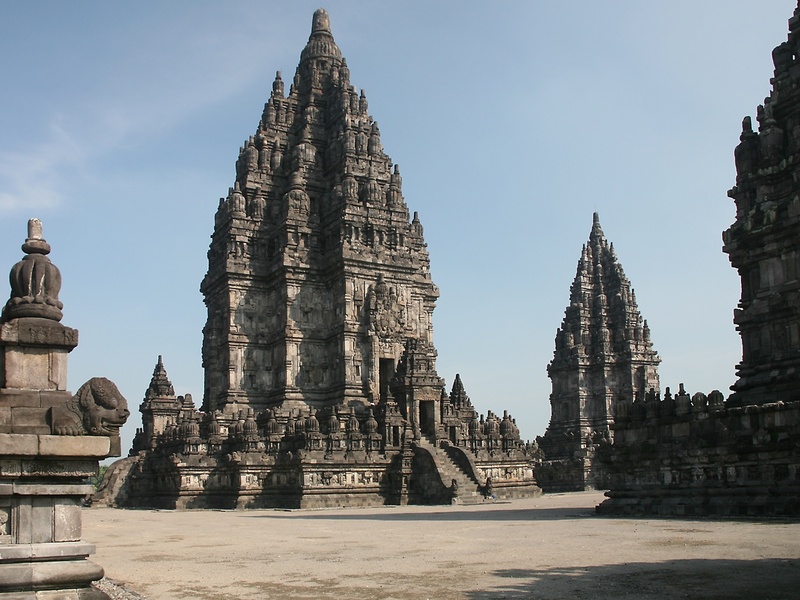 After reconstruction of main temples in 1990s, Prambanan once again became an important religious center for Hindu rituals and ceremonies in Indonesia. Do maintain silence and recite Om your Istamantram to yourself inside the temple. Sri Rajakaliamman Glass Temple, Tebrau, Johor Bah..
Sri Thendayuthapani Temple, 15 Tank Road, Singap..
Shri Siva Vishnu Temple, sub-urban of Carrum Down..